Do you like Epic books that don’t end right after they begin; Adventure and Suspense books that keep you on the edge, Romantic books with confident and spirited female characters, Magical books with creatures and supernatural events, and don’t forget Coming of Age books that bring us into adulthood. Well, you can find it all in the books of the DRAGON-CALLED series. EPIC: A host of characters with multiple story lines that puts an entire Fantasy world at war. And big! The first two books total more than ONE THOUSAND pages of reading enjoyment. ADVENTUROUS: Action, Action, Action, that keeps you on your toes and wondering what’s going to happen next. ROMANTIC: Love discovered and love lost – with both well-developed and strong female and male characters. 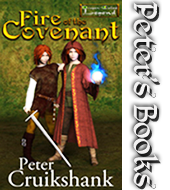 MAGICAL: Elfs, dragons, and the Goddess’, the Burning Lady’s, Spirit world of il fennore. COMING of AGE: Sixteen-year-old twin brother and sister realize they aren’t ready to accept the lives others have planned for them, and… as if that isn’t tough enough – they are filled with the Fire of the dragons and, wouldn’t you just know it, they are the only hope to stop a Great Evil from spreading its darkness over the physical and Spirit world. Wow, non-stop excitement and suspense. For ages 14 to… well, know of a couple of readers in their 90s. 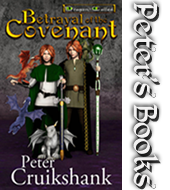 The first two books (Fire of the Covenant and Betrayal of the Covenant) in the series are available at Amazon, Barnes & Noble, iTunes, Kobo, Goodreads, and most on-line book sellers. Check out il fennore publishing for more information about where to find the books or to purchase a copy inscribed by the author.